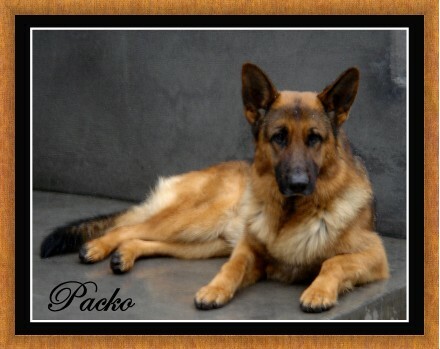 Packo is from one of the most legendary & prestigious kennels in Germany.. 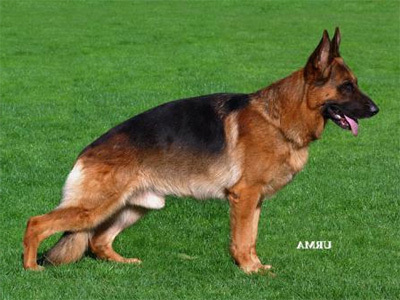 Highly recommended for breeding by the SV (German Shepherd Club of Germany). 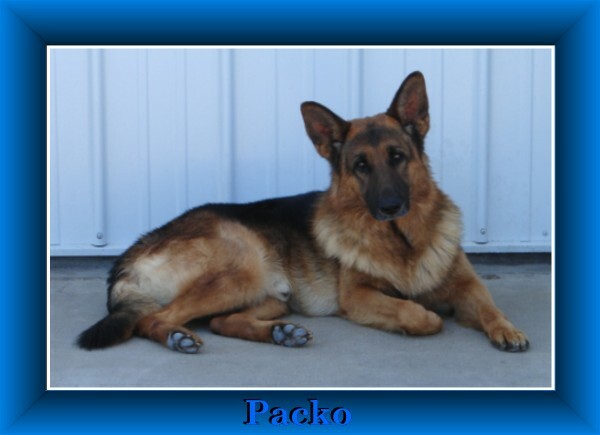 He is Schutzhund titled and rated Excellent in Conformation (structure, pigment, size, temperament & beauty). His temperament is impeccable. He's a "Ladies Man" and also great with the pups. A true Gentlemen. But don't worry, he's got everything it takes to Pack a Punch or Take a Bite out of Crime. Eilyn received the coveted rating of V24 at the World German Shepherd Sieger Show held in Germany. 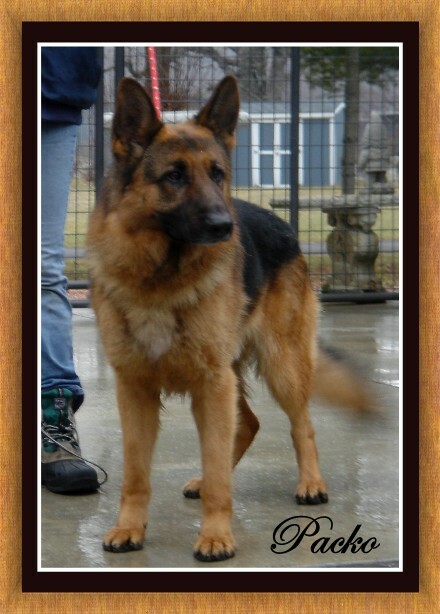 Highly recommended for breeding she has her Schutzhund titles, etc. The pleasure has been all ours and we were blessed to be able to acquire her.She has since passed and is missed greatly. 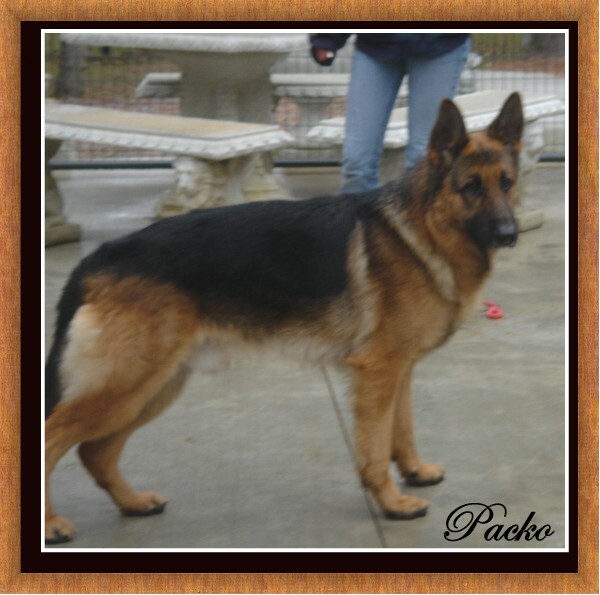 the # 2 Best GSD in the World! SchH3, FH2, IP3, AD, BH, KKL1"a" Normal Lbz. FYI: His worth at the time he reached VA was near 1/2 Million Dollars!